A couple of weekends ago, Seattle closed down some streets in my Central District neighborhood to make a bike trail and block party for the day. 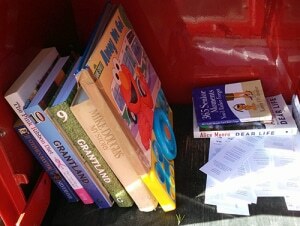 The sun was shining and it sounded like the perfect chance to visit a few local Little Free Libraries in my area! 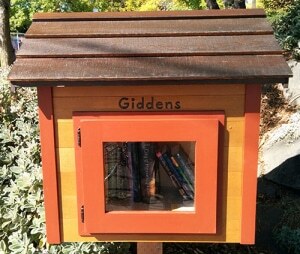 I found this library outside an apartment building. It’s constructed out of an old newspaper box like you might find on the sidewalk — but you don’t have to put any quarters in this one, of course. There weren’t too many books to choose from, but I did find another bonus: Warby Parker bookmarks from a recent pop-up shop they had in Seattle. 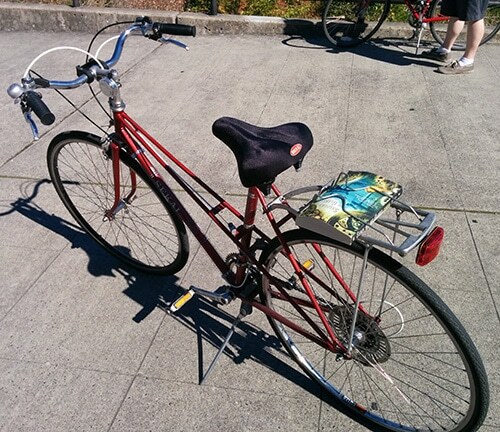 Well, I’m never one to turn down a free bookmark… and I did leave a few books to help them out. 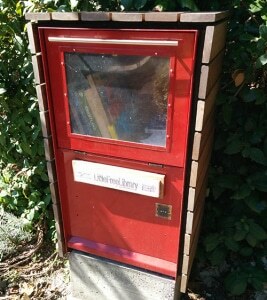 I’ve gotta give this Little Free Library props for rain-proofing. 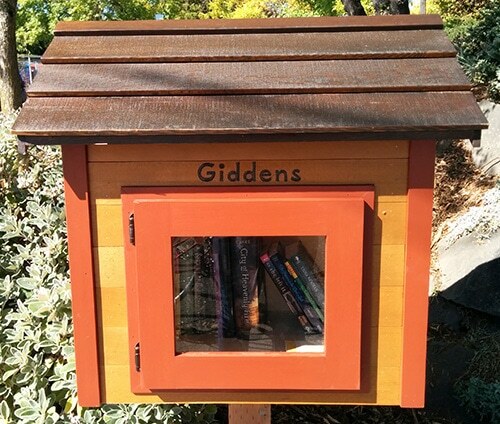 The sturdy wooden construction and latch makes this look like a cozy little birdhouse for books during their “migration” from one reader to another! It was even emptier than the first, and I wished I had saved a few to leave in this library, too. Next time I’ll bring books to this one first. Without even realizing it, I saved the best for last! This library was located outside a school, which I should have known would mean it was full of awesome YA books. You could practically feel the magic, dystopia, and tragic romance when you opened the door. I couldn’t resist grabbing a steampunk-flavored fantasy novel, only to find that it’s #2 in a series… which just means I’ll have to track down #1 next. 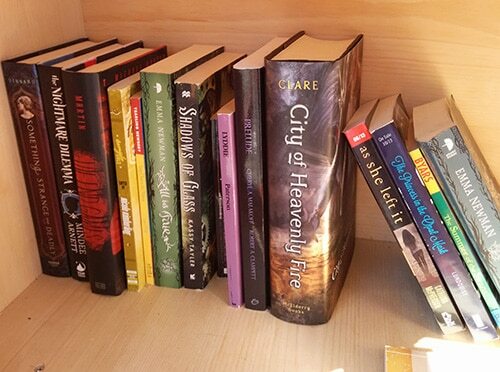 Now I know where to pass on my guilty-pleasure YA books! It was great to find several options within walking distance, and hopefully I’ll feel motivated to take a walk when I have books to drop off or need something to read. 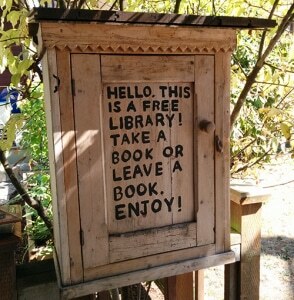 Have you found a Little Free Library near you? Check the map to find one!